Riviera Nayarit is characterized by its consistent first-rate gastronomy, as evidenced by the recent awards received by chefs Hugo Gutierrez, Jorge Humberto Gonzalez, Hector Roman and Jorge Eduardo Santamaria, who were recognized by their creativity, quality and talent. Recently, Hugo Gutierrez, chef at Haramara Retreat & Spa, a fine yoga retreat in Sayulita, received the Diplôme de la Académie Culinaire de France during a gala dinner organized by the prestigious Vatel Club, which has over 200 associates, including the best representatives of Mexico’s gastronomy. Jorge Humberto Gonzalez, chef at the Four Seasons, was the winner of the Thierry Blouet Trophy, a regional competition that gave him access to Abastur’s Gran Concurso Latinoamericano Azteca, the most important competition in Mexico. 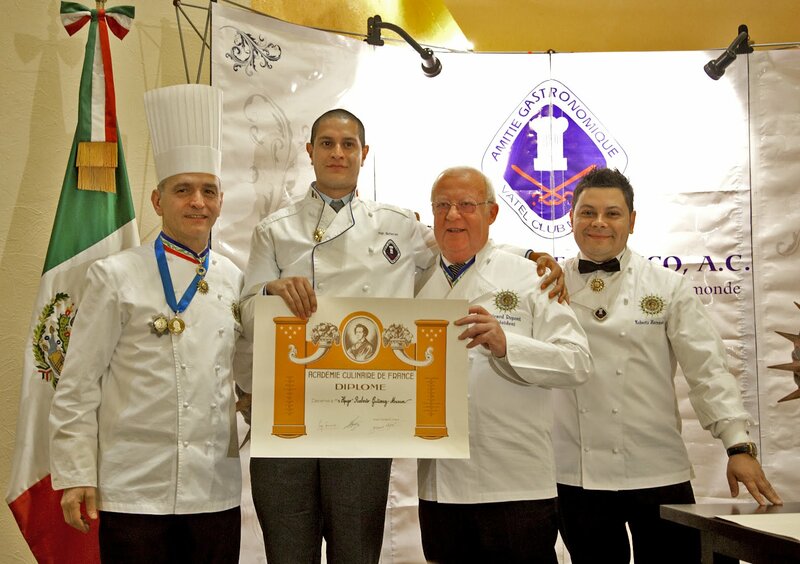 It’s important to mention that this competition organized by chef Blouet was headed by chefs from Riviera Nayarit. The second place went to Hector Roman Munoz from St. Regis, and Jorge Eduardo Santamaria from Grand Luxxe, Jose Manuel Gordian from Grand Velas and Rafael Castillo de Villa from Villa del Palmar Flamingos ranked among the finalists. Riviera Nayarit is a prime gourmet destination. The history, tradition and exquisite gastronomy are combined with the freshness and richness of natural products from this region to create a culinary diversity that will satisfy every palate. The cuisine of Nayarit evolved during the colonial years, with the influence of foreign communities that were established in the region, including European and Asian migrants due to the intense commerce coming from Manila and initially reaching San Blas.